In today’s Education Report, I would like to talk about the protection of the environment, and two success stories. With this report, I hope to show that the way government is working today is really about the same as it has always worked. In the year 1980, will the President look back on a decade in which 70% of our people lived in metropolitan areas choked by traffic, suffocated by smog, poisoned by water, deafened by noise, and terrorized by crime? The great question of the 1970s is, shall we surrender to our surroundings, or shall we make our peace with nature and begin to make reparations for the damage we have done to our air, to our land, and to our water? Restoring nature to its natural state is a cause beyond party and beyond factions. It has become a common cause of all the people of this country. It is a cause of particular concern to young Americans, because they more than we will reap the grim consequences of our failure to act on programs which are needed now if we are to prevent disaster later. Clean air, clean water, open spaces-these should once again be the birthright of every American. If we act now, they can be. Our national government today is not structured to make a coordinated attack on the pollutants which debase the air we breathe, the water we drink, and the land that grows our food. Indeed, the present governmental structure for dealing with environmental pollution often defies effective and concerted action. Despite its complexity, for pollution control purposes the environment must be perceived as a single, interrelated system. Present assignments of departmental responsibilities reflect this interrelatedness. Trace them through the entire ecological chain, observing and recording changes in form as they occur. Determine the tot of man and his environment. Examine interactions among forms of pollution. Identify where in the ecological chain interdiction would be most appropriate. One of the early actions of the EPA was to ban Dichlorodiphenyltrichloroethane, commonly known as DDT. The EPA held seven months of hearings in 1971–1972, with scientists giving evidence for and against DDT. In the summer of 1972, the EPA announced the cancellation of most uses of DDT – exempting public health uses under some conditions. Immediately after the announcement, both Environmental Defense Fund (EDF), a private environmental group, and the DDT manufacturers, filed suit against EPA. Industry sought to overturn the ban, while EDF wanted a comprehensive ban. The cases were consolidated, and in 1973 the United States Court of Appeals for the District of Columbia Circuit ruled that the EPA had acted properly in banning DDT. I include DDT here because, for all its benefits, it represented a clear and present danger not just to humans, but a wealth of friendly insects, and especially to birds. It was a carcinogen, and it killed a lot of animals and insects. DDT is a long-lived chemical, and one of its many effects is to cause the shells of birds eggs to thin out. Out national bird, the Bald Eagle, was so badly affected by DDT that most of its eggs cracked and collapsed before the chicks matured. Being an apex predator, Eagles were never populous. But the combination of the chemical and loss of habitat left it an endangered species in the ‘60s. Around 1900, there were about 11,000 pairs around the Chesapeake Bay. In 1967 when they were declared endangered, there were fewer than 90 breeding pairs around the Chesapeake. I remember hearing a EDF scientist talking about DDT in a radio interview. He said it remained about 30 years in the environment before there was enough breakdown of the chemical for its effects to die out. Sure enough, in the late ‘90s we started hearing about the comeback of Bald Eagles. In 2007, were were more than 11,000 pairs nesting up and down the Chesapeake Bay, including several in the D.C. metropolitan area. Banning DDT was not the only reason they recovered, but it was one big drivers. I also want to mention the complete banning of Choroflourocarbons (CFCs) in the ‘90s. One of the most well known was Freon. Like DDT, CFCs have very long life (due to DDT’s low reactivity). They have an average lifetime of as much as 100 years, depending on which variation you are discussing. And they went everywhere. Studies in the ‘50s and ‘60s found them in the arctic despite a lack of people there. CFCs released into the environment drifted everywhere, including into the stratosphere where ultraviolet radiation breaks the chemical down into free radicals that combine chemically with Ozone. Not good. Ozone is the protective layer that attenuates ultraviolet radiation that is damaging to life on the ground. Stratospheric ozone protects life on the planet by absorbing potentially harmful ultraviolet radiation that can cause skin cancer and cataracts, suppress immune systems, and damage plant life. Studies in the late 1970s saw a steady decline of about four percent in the total amount of ozone in the ozone layer and a much larger springtime decrease in stratospheric ozone around Earth’s polar regions (the ozone hole). In 1978 the United States banned the use of CFCs such as Freon in aerosol cans, the beginning of a long series of regulatory actions against their use. By 1987, in response to a dramatic seasonal depletion of the ozone layer over Antarctica, diplomats forged the Montreal Protocol, which called for drastic reductions in the production of CFCs. In 1989, 12 European Community nations agreed to ban the production of all CFCs by the end of the century. In 1990, diplomats met in London and voted to significantly strengthen the Montreal Protocol by calling for a complete elimination of CFCs by the year 2000. It was a long process, but production of new stocks ceased in most, if not all, countries in 1994. For the first time, scientists have shown through direct observations of the ozone hole by a satellite instrument, built by NASA’s Jet Propulsion Laboratory in Pasadena, California, that levels of ozone-destroying chlorine are declining, resulting in less ozone depletion. Measurements show that the decline in chlorine, resulting from an international ban on chlorine-containing human-produce chemicals called chlorofluorocarbons (CFCs), has resulted in about 20 percent less ozone depletion during the Antarctic winter than there was in 2005. The study was published Jan. 4 in the journal Geophysical Research Letters. The Baltimore Science Fiction Society will screen The Alien Factor this Saturday on the 40th anniversary of its commercial release. This 1978 Baltimore Epic has been remastered to Blue-Ray for an enhanced viewing experience. Some of the original cast will be in attendance including Greg Dohler, the son of the producer/director (Greg also appeared in the film as one of the child actors). April 8 Stat meeting to take place at the Mt. Moriah Lodge, Towson, MD at 1:00 PM. Please plan to stay until 5 PM to enjoy all the festivities. Thanks to all the members and attendees at the Stat meeting today. The Pot Luck was a wonderful success. Thanks to Bob Greenberger for attending and gathering memories and stories for the upcoming 40th ShoreLeave Convention Anniversary. “Remembering Leonard Nimoy,” the 1-hour PBS special, will air on WHUT (DC Area PBS station, Ch.19 on Comcast in Baltimore County) this coming Saturday 12/02 at 1200 noon. It will air on MPT2 (Maryland Public Television, Ch.799 on Comcast in Baltimore County) on Friday 12/29 at 9pm. PBS is airing a special film:“Remembering Leonard,” which looks at the life and legacy of Leonard and his battle with COPD. ➡️ For channel listings and air dates, visit the link below. During the month of November, PBS is airing “Remembering Leonard,” a film that looks at the life and legacy of Leonard Nimoy and his battle with COPD. January 2018 will mark the 25th anniversary of the premiere of Star Trek: Deep Space Nine. 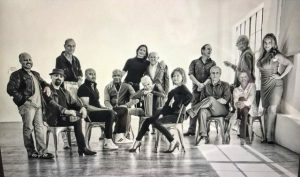 Variety held a photo-shoot to prepare for what will apparently be some special coverage of the anniversary and some of the cast and creatives who were on hand shared some preview photos. It is with Sadness that we share the passing of a dear friend and integral part of ShoreLeave and Farpoint’s science programming, Mr. Yoji Kondo. 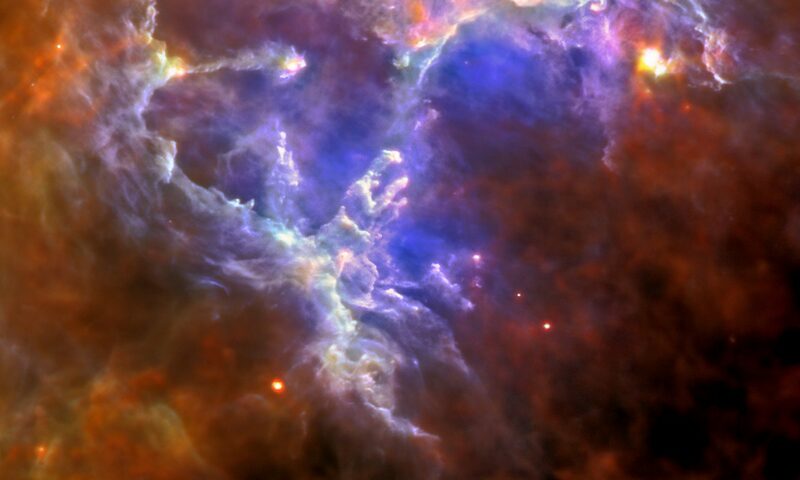 President of the IAU Commission on “Close Binary Stars” and the IAU Division on “Variable Stars”. In addition to numerous professional titles, he also published several science fiction books including a Star Trek novel. His avocation was Judo (6th degree black-belt) and Aikido (7th degree black belt), and he was teaching the martial arts for a few decades. 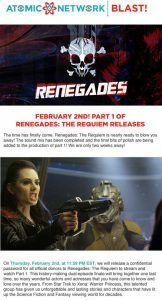 On Thursday, February 2nd, at 11:59 PM EST, Renegades will release a confidential password for all official donors to renegades: The requiem to stream and watch part 1. This history-making dual episode finale will bring together one last time, so many wonderful actors and actresses that you have come to know and love over the years. From star trek to Xena: warrior Princess. This talented group has given us unforgettable and lasting stories and characters that have lit up the science fiction and fantasy viewing world for decades. If you are an official Renegades donor, all you have to do right now is kick back and wait just a little longer. Your password will be emailed to you at the designated time.